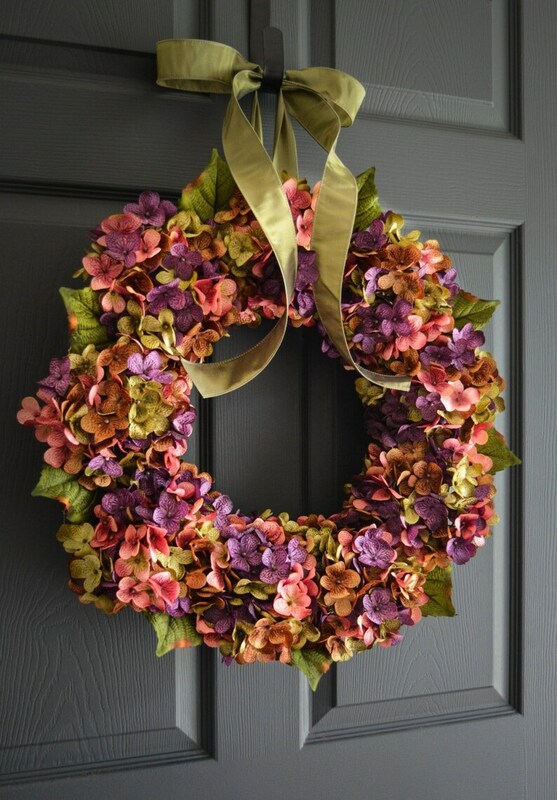 BEST SELLER SPRING WREATH for the past 3 years! 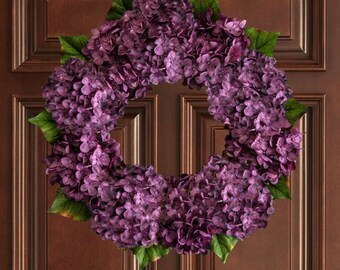 Hand Blended Front Door Hydrangea Wreath, an original HHG design, that creates an artful impression to your front door. 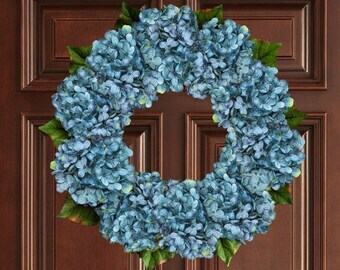 This wreath is handmade using artificial blooms with hydrangea leaves on a natural grapevine base. The wreath is finished with a satin ribbon. The colors are beautiful! 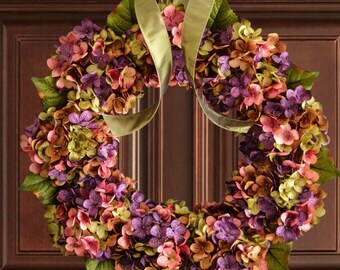 They are versatile enough, that even though I bought this as a spring wreath, I will have it displayed all year round.